Australia’s sugar industry faces a raft of community-driven challenges to its social licence to operate. Health and nutrition issues regarding obesity levels and sugar consumption are top of mind in the community, as are environmental concerns. Sugarcane growers and millers recognise that obesity is a serious issue in Australia as obesity rates continue to climb, and preventing obesity needs to be a high policy priority. While most health authorities advise that obesity is caused by an imbalance between energy intake and energy expenditure, the bottom line is that many Australians are getting this balance wrong. For some, the overconsumption of sugar is key. We believe that sugar can be enjoyed as part of a healthy and active lifestyle, when people understand and can make informed choices about their consumption. 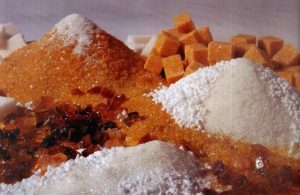 As sugar producers, we do not want our product to create harm to anyone, and we are concerned about those in the community who might not understand the risks of over-consumption, or feel they are unable to make informed choices about how much sugar they consume. We want to work with government and stakeholders to determine the best approach to providing the public with more information and choice when it comes to healthy foods. The sugar industry is committed to best management practice of soil, water and all other environmental resources and works in partnership with Government to deliver ongoing improvements to the environment, particularly the Great Barrier Reef’s water quality. on-going viability of the businesses that manage the land and natural resources, including sugar mills and cane farms. There is a huge variation in geographic and climatic sugarcane growing conditions from the Burdekin Dry Tropics to the Wet Tropics of Cairns and the Tablelands. Many of our milling council members own and operate large farming operations in each of the reef catchments. They have led the way in terms of best management practice and innovation in their approach to farming. In total, milling companies produce over 2.5 million tonnes of sugarcane from a total farming area of about 30,000 hectares. Approximately 70% of the area farmed for sugarcane is Smartcane BMP bench-marked and over 17% of cane farm area is accredited. The Australian Sugar Milling Council, whose membership comprises the owners and operators of all sugar mills in reef catchments, is very supportive of balanced measures that encourage best management practice in sugarcane farming that will result in improved water quality for the Great Barrier Reef. We believe the commitment to and adoption of ‘best management practices’ in sugarcane farming needs to be acknowledged, encouraged and promoted.